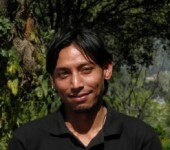 “Amazing”, “incredible”, “resourceful”, “caring” – these are just a few of the adjectives iTrekNepal guests have used to describe Shree, the director of operations in Nepal. Shree has been with the company since its beginning, starting as a customer service representative, and taking on increased responsibilities every year. 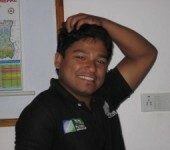 Although still quite young, Shree has a world of experience that he brings to his role managing trek schedules, co-ordinating guide assignments, arranging flights, solving problems, and sometimes even leading treks and tours. 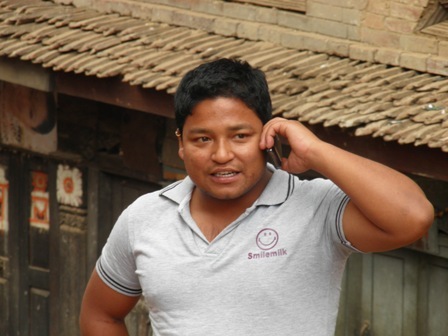 Shree started guiding tours in Bhaktapur when he was only 14 years old. 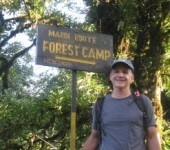 With excellent English, an effervescent personality, and an encyclopedic knowledge of Nepal history and culture, he has delighted hundreds of guests who have spent time with him. Although he now has too many responsibilities to be able to guide tours and treks on a regular basis, Shree is still always available to greet arriving guests and make them feel welcome and well-prepared for their adventures. One of the biggest decisions for most people who are thinking about a trek in Nepal is whether to join a scheduled group or to trek with their own guide (and porter). There are benefits with either option, and which way you decide to go depends on several factors. Most trekkers planning to travel to Nepal on their own want to join a scheduled group, both for the companionship and to reduce the trek cost. This is usually the best alternative if you’re planning to come to Nepal by yourself but it is not always ideal. 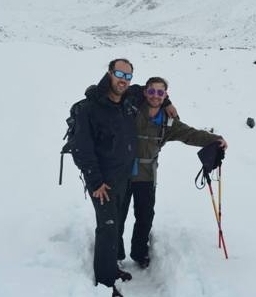 If you are not constrained by a tight budget and you’d like more flexibility with your itinerary, schedule and trek pace, it may be wise to trek with your own guide and porter. 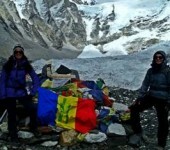 Usually there are other trekkers to meet and join up with along the way so you won’t be lacking for companions, and the cost of a private guide is less than expected. 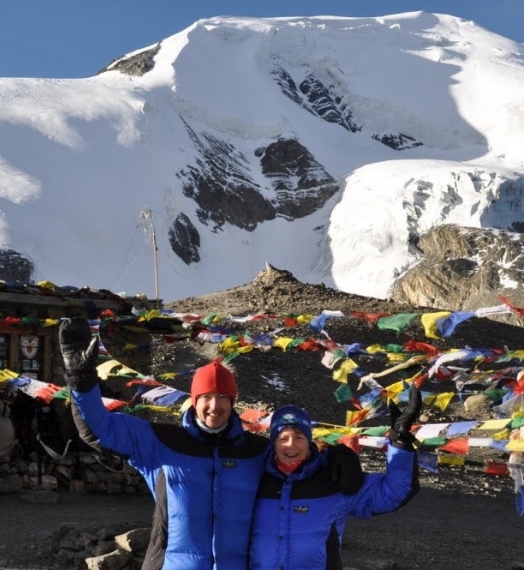 If you are coming to Nepal to trek with at least one other person then there is no extra cost for a private trek with your own guide, and you’ll have lots of flexibility. the itinerary if you choose. Most people find that other trekkers are like-minded people who make great companions on a long trip, so joining a scheduled group usually works out very well. 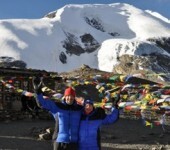 Many ITrekNepal guests have made life-long friendships with people they have joined on our treks. 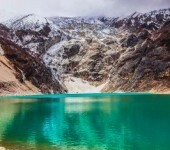 But if you’re at all concerned about being stuck with someone you might not like, or if you feel you might either holding back the group or they will be holding you back, then having a private trek will give you lots of freedom and insure that you can go exactly where, when and how quickly you want to. At iTrekNepal we do everything possible to provide our guests with the most flexible schedules, itineraries and trek arrangements. Please don’t hesitate to ask us about the options for arranging the ideal trek according to your preferences. 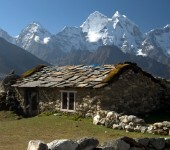 Nepal has four distinctive seasons, each offering advantages and disadvantages for trekkers. A question we are asked most often is when the best time is for a trek, which largely depends on individual preferences. Here is a “calendar” that can help with making a decision regarding the ideal time of year to schedule a trek. The best months for each trek condition (e.g. clear, warm) are highlighted. Spring (late February – early June): Enjoy mild temperatures and mostly clear skies. March and April are the next most popular months for Nepal trekking other than the fall season, especially in the Annapurna region when the rhododendron trees are blossoming. Late February through early March is usually very clear and less crowded – an excellent time for trekking if you don’t mind it being a bit colder. Late May/early June is also less crowded with mild temperatures but more chance of rain or cloudiness. 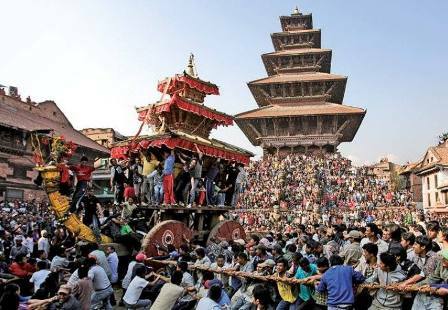 The Bisket Jatra Festival(Bhaktapur) in mid-April is a great addition to a spring trek adventure, especially if you’re here on the 10th for the chariot tug-of-war in Taumadhi Square. The Holi “festival of colors” is in March. Spring is also the ideal time to visit Chitwan National Park when wild animal sightings (tiger, rhino) are most common. Summer (late June – early September): This is the monsoon season, when there are clouds and rain almost daily. It is the most beautiful time of the year in the valleys, though it’s warmer and more humid. 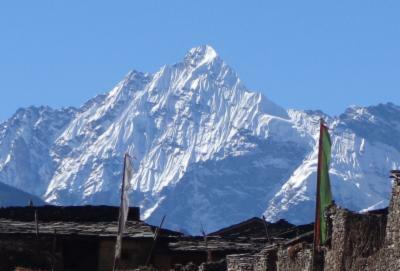 Annapurna and Everest treks are not recommended, but short treks in the Kathmandu valley are nice. 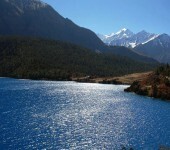 The best trekking is in the Himalayan “rain shadow” in the Mustang and Dolpo regions of western Nepal. 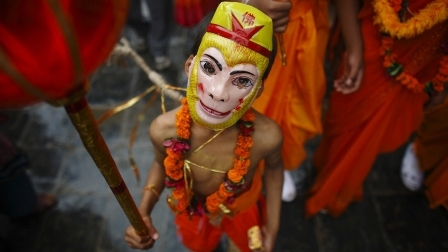 Gai Jatra(Cow festival) is one of Nepal’s most colorful festivals, celebrated in August. 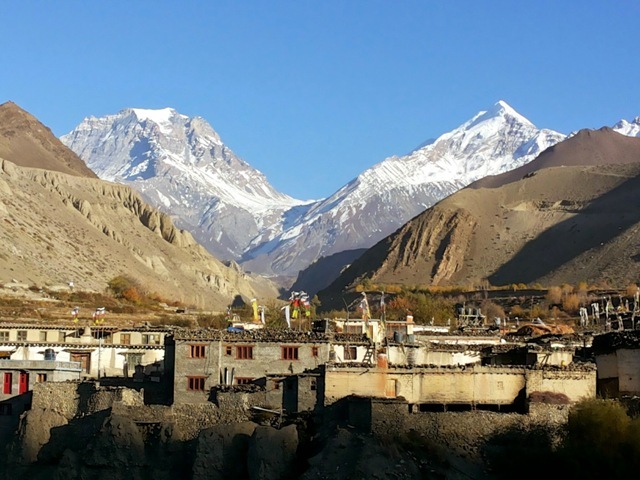 Fall (late September – early December): The most popular time of year for trekking in Nepal, especially in the Everest and Annapurna region. Because October and November can be very crowded on the most popular routes consider trekking in late September or early December. The Fall season is also the best time of year for river rafting when the rivers are still full from monsoon rains and melting snow. 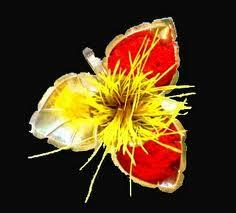 Dashain is most important festival celebrated for 10 days in late September and early October. 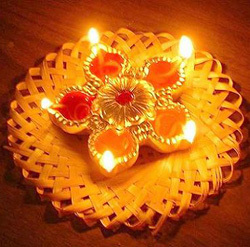 Tihar (festival of lights) is in late October and early November. Winter (late December – early February): This is the best time of year to trek if you want the have the clearest mountain views and no crowds on the more popular routes. However, it can be bitterly cold at high altitudes so be prepared. Treks below 4500 meters are ideal, or even higher at the beginning or end of the season when temperatures aren’t too extreme. If you liked our newsletter, please share it with your friends. We also welcome your feedback and suggestions for other newsletter topics. Please send your comments to andrew@itreknepal.com. Thanks!